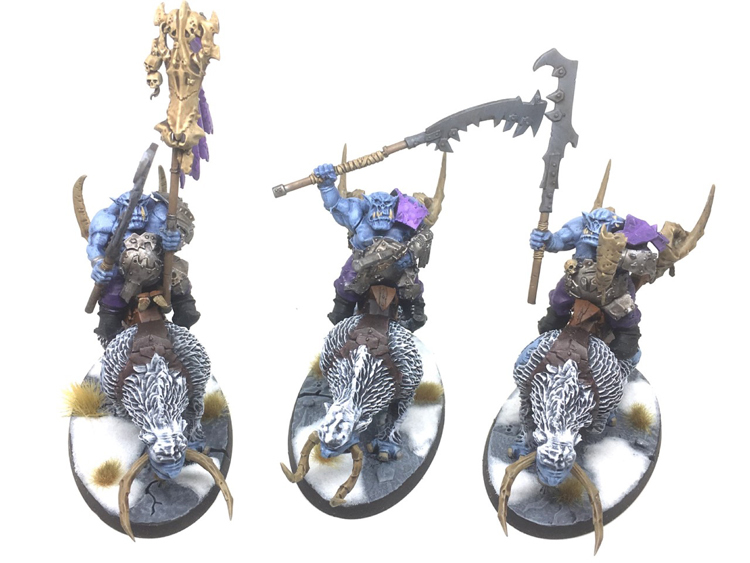 Here's some recent work for some Age of Sigmar Ironjawz and Beastclaw Raiders. Want a painted Army? Not got the time? 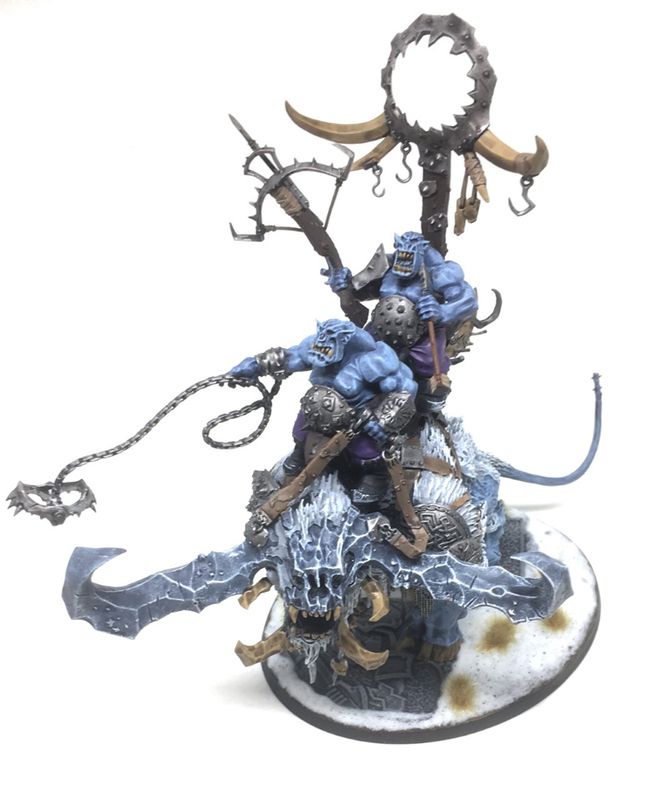 Welcome to On the Table Painting! I’m a part-time commission painter based in Newcastle upon Tyne, UK, currently working on my own. I pride myself on customer service and will be your point of contact from the start right through to the very end. 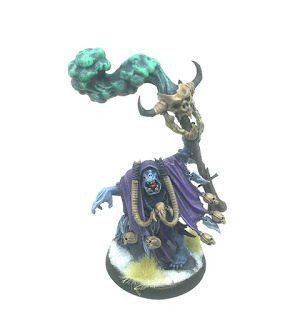 At the current time I mainly paint models for Warhammer Age of Sigmar and Warhammer 40K, but I am more than willing to paint miniatures and models from any range. At the current time I focus on Tabletop Standard of miniatures. 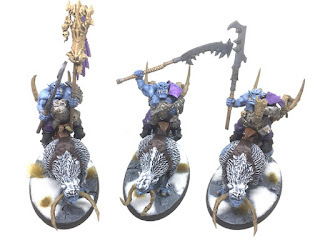 This standard is exactly what it says on the tin, the models will look good from a few feet away on the tabletop; perfect for people who want to get a cohesive painted army on the table. 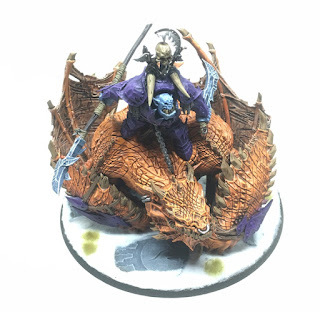 In our initial correspondence we can discuss paint schemes, basing and anything else in particular that you wish to have. So the cost to paint a unit will be the same as purchasing the unit from the manufacturer at RRP. There will be a few exceptions to this rule, for example things like Start Collecting Boxes and larger Lords of War models, but we can discuss this through email. While my preference is that models are built and cleaned before arriving with me I can offer a building service which will be an additional 30% of the RRP. Assembling, mould line removal and basing will be covered when building models. 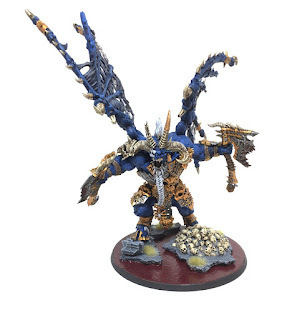 Ideally you will already have the models purchased however if needed I can purchase the models on your behalf. This will require payment in full for the models first before any work is undertook. For non-manufacturer exclusive items I will purchase via my independent stockist, anything manufacturer exclusive will need to be ordered through them. In our initial contact I will give you a rough estimate of completion of the project, this will obviously vary depending on the size of the project and what other commissions I have on at the same time. All jobs are treated on a first come, first served basis. There may be some wiggle room if you have a request of one model/unit but this is all dependant on current workload. 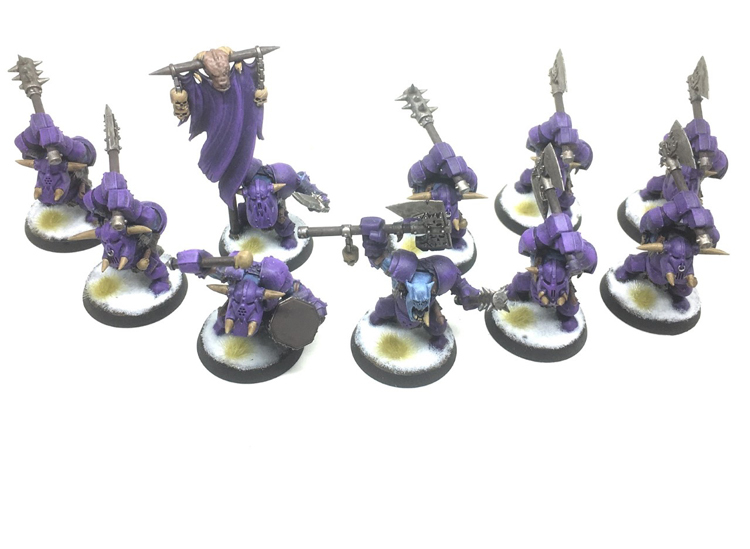 I ask for 25% of the total fee up front to book your slot and also to cover the costs of paints, materials etc. 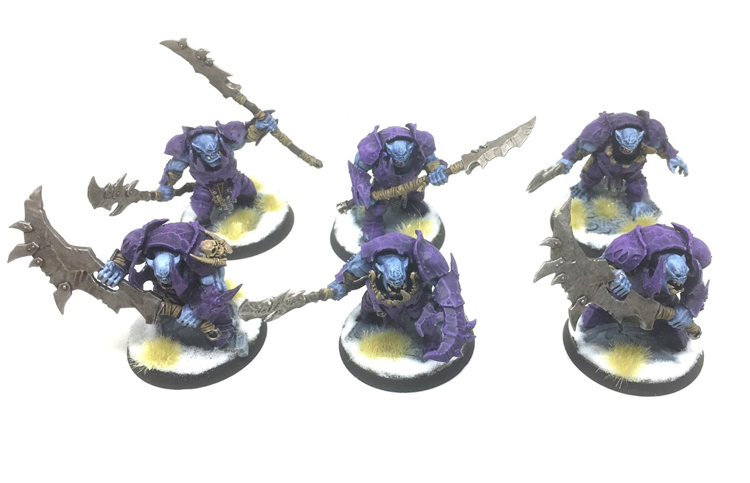 Once the job has been completed and you are happy the remaining 75% will be due, once received I’ll post out the models! All payments are done through PayPal, the customer will pay for PayPal fees but this will be included in the invoice that I send through to you. Once the initial 25% payment has been made, that fee is non-refundable. Please check terms and conditions for full details. Postage will be paid by the customer, for UK projects I will be sending out via Courier Service using a Next Working Day service. I am based in the UK so bear this in mind with postage costs if you are abroad as they will cost more. Models will be wrapped in bubble wrap and put inside multiple boxes to secure models for transit. I always advise to pay for the insured and tracked methods of postage so that your models arrive safely and are covered.